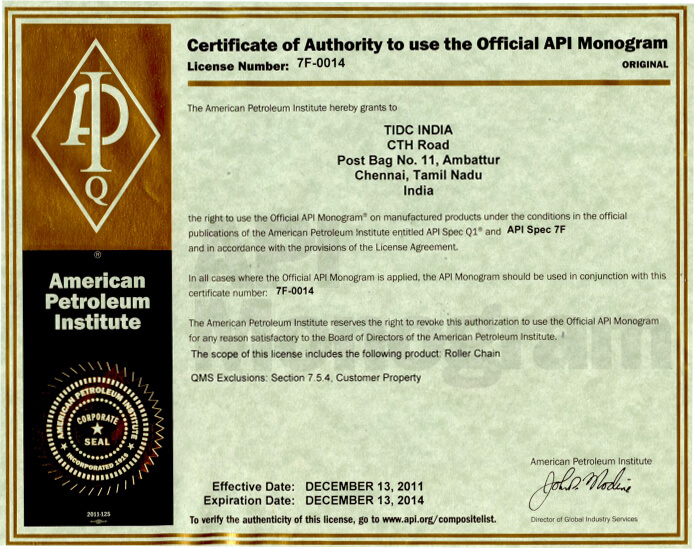 We are one of the world's few companies to be certified for API 7F specifications by the American Petroleum Institute for oil field chains. 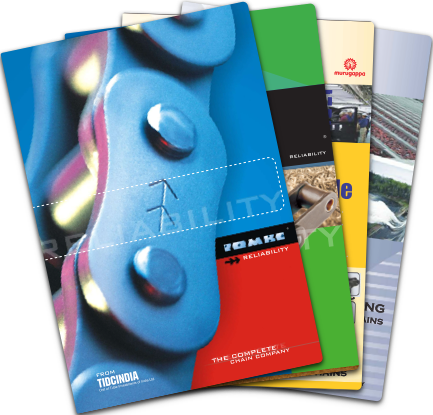 Our manufacturing processes right from product design to testing of finished chains conform to ISO 9000:2000 standards and are certified by RWTUV of Germany. 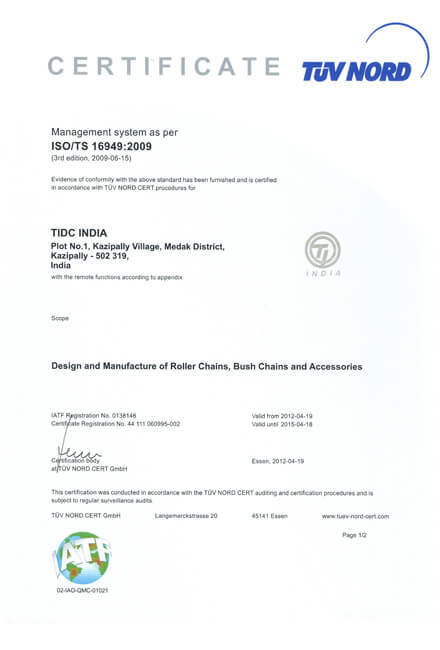 Our Motorcycle Drive & Engine Mechanism Chain and Fine Blanking Divisions are certified to TS 16949 standards also by RWTUV. 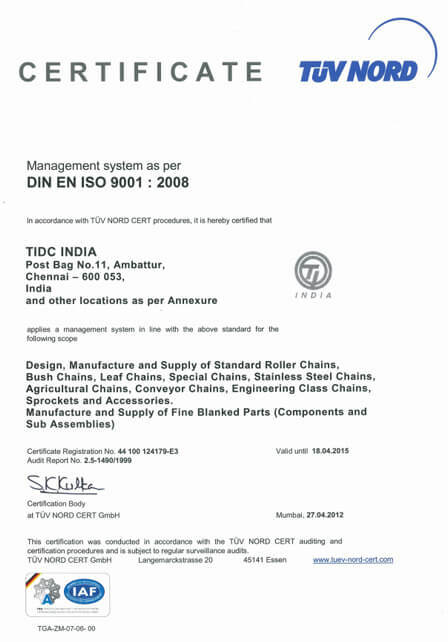 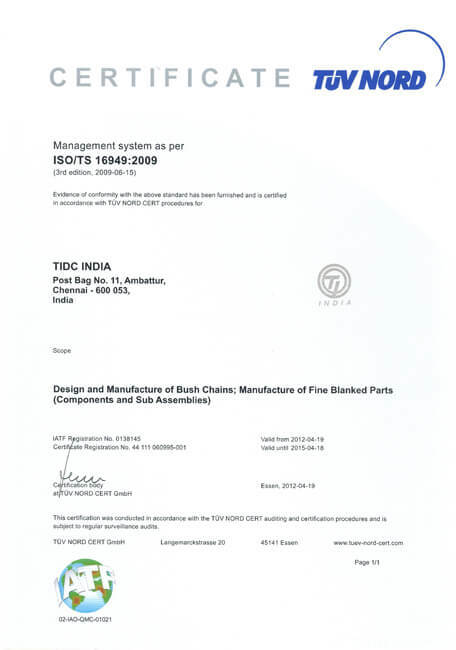 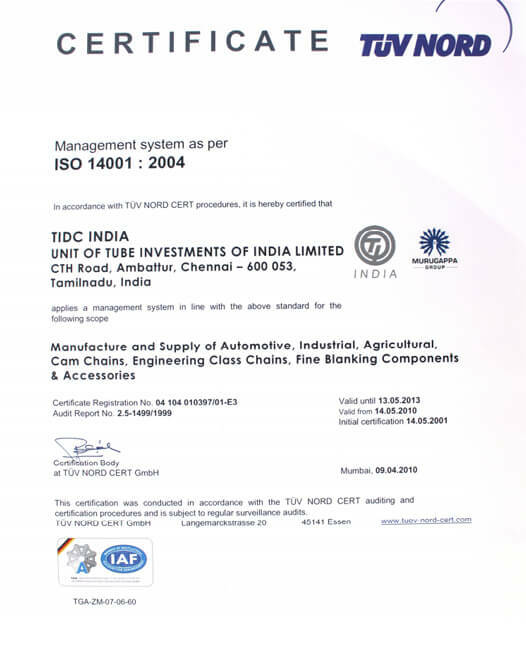 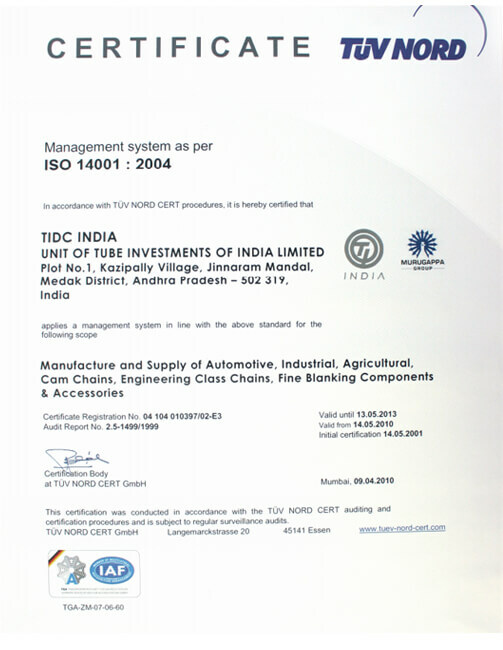 But the best certificate is approval and repeat orders that come to us from customers across the world, namely Atlas Copco, Bosch, Case New Holland, Hyster, Honda, Ingersoll Rand, ITW Signode, John Deere, Krupp, La Farge, Suzuki,Terex, Tetrapak.